Killdeer Mountain Outfitters is located in western North Dakota, approximately 50 miles from the Montana border. Our refuge resides two and one-half hours from two North Dakota airports located in Bismarck and Minot. Killdeer’s 5,800 foot paved runway can accommodate small aircrafts and is located only ten miles from the preserve. You will need to call ahead to schedule a landing. If you choose to travel by highway, we are approximately one day's drive from most Midwest cities including: Denver, Minneapolis, Sioux Falls, Fargo and Omaha. We boast hunting clientele from as far away as Hawaii and Alaska. This lodge, built in 2005, offers many amenities including: shower, bath and kitchen facilities. The main floor has 1,200 square feet of living space and features an open main room. The lodge will comfortably accommodate six adults. One bedroom has two sets of bunk beds and the other a king size bed. There is also a loft which can be utilized as a lounge area or as an additional sleeping area. We guarantee your privacy and also guarantee you will find this a great place to relax and enjoy the beautiful scenery. 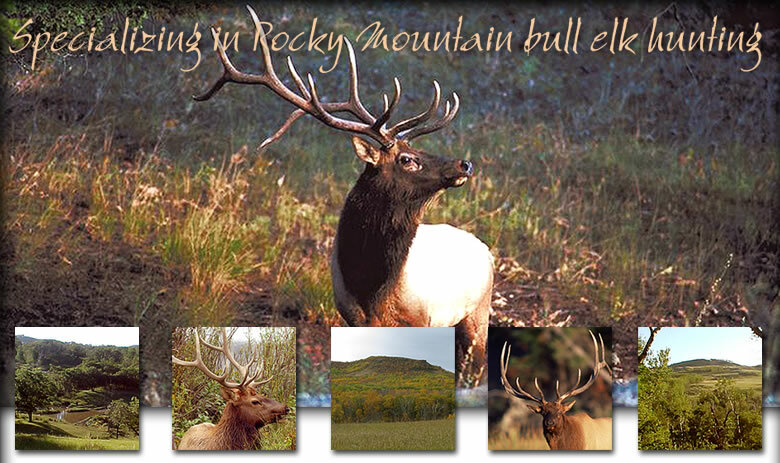 Killdeer Mountain Outfitter’s lodge is also ideal for off-season rental, as an exclusive vacation getaway. The surrounding area offers plenty of outdoor opportunities such as hiking, bird watching and mountain biking. If horse-back riding is your interest, Killdeer Mountain Outfitters has on-site buildings for horse boarding and is known as a scenic area for riding.